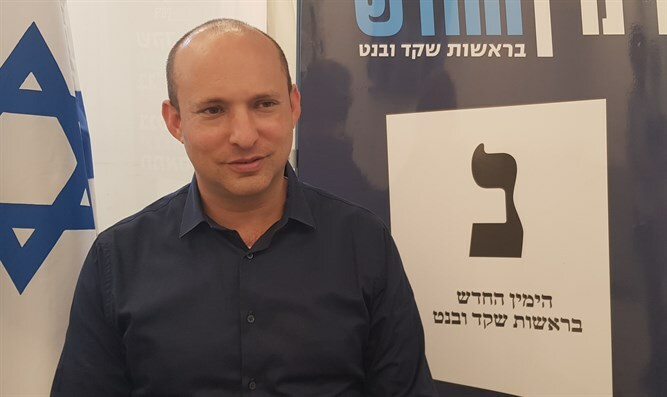 Minister and New Right Chairman Naftali Bennett referred to the current situation of his party, which has not passed the electoral threshold, and which he hopes the soldiers' votes will give the boost it needs to enter the Knesset. Writing on Twitter Wednesday evening, Bennett cited "A statement by the legendary Teddy Roosevelt that has been with me for years: ‘It is not the critic who counts; not the man who points out how the strong man stumbles, or where the doer of deeds could have done them better.'" Earlier Wednesday, Bennett said, "We need about 5 percent of the soldiers' votes, compared to the 3 percent we had nationally. It is possible but borderline. It can succeed or fail on the basis of [only] dozens of votes one way or the other," Bennett said. A new control room was established in the New Right headquarters to monitor the counting of votes. "We set up a control room that passes from one ballot box to another and makes note of malfunctions and fraud. We are currently working in the control room. We are fighting. I simply will not let a single vote go and I will not give up for as long as possible," Bennett stressed.